Most people go to Morocco to soak up some sunshine and get a dose of culture shock, but but for some us is there is another attraction: surfing. The coast of Morocco is lined with dozens of surf breaks where the waves line up like green chips of glass, just begging to be ridden. In particular, the village of Taghazout, near Agadir, is a surfing Mecca for surfers from all over the world, but especially for Europeans looking for a respite from colder climates. The weather in Morocco is ideal for a surf trip just about any time of the year. 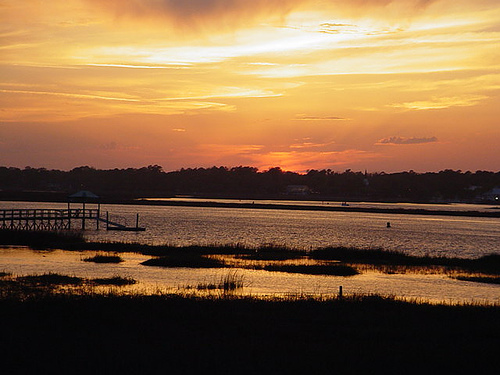 The weather stays consistently warm (or hot!) and sunny for most of the year, and the Atlantic-facing coastline picks up lots of swell. The waves are generally bigger in winter, so a beginner surfer will probably have a better and easier time by going at the calmer times of the year. The water usually isn’t warm enough to surf without a wetsuit on, but this is a benefit for those of us with fairer complexions that could use the sun protection anyway. Big Friday, a surf travel specialist, runs special womens-only Surf Sistas trips to the Taghazout area in March and November to coincide with good swell conditions. On these trips, you fly into Agadir and taken to stay in Villa Mandala, a large traditional Moroccan house overlooking the rocky beach near Banana Village (Aourir). For a week, our days started out with morning yoga, followed by a lush breakfast. Then our surf guide would load up the boards and wetsuit and we would decamp to a local surf break for the afternoon, spending a couple of hours in the water surfing, followed by a well-earned packed lunch. After sunning ourselves to a crisp, our afternoons were free until another relaxing yoga class, followed by a well-earned (usually Moroccan) dinner. 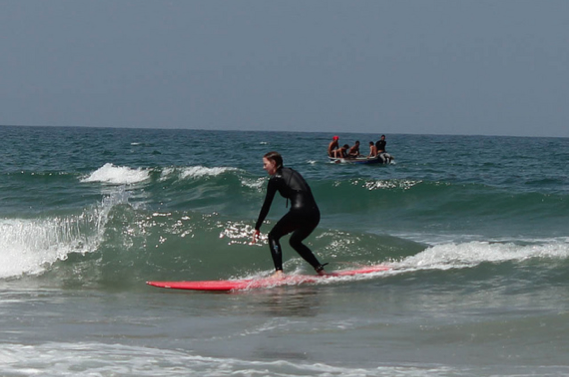 Surfing might sound a little intimidating, but surf lessons are provided for everyone. All skill levels are catered to, from those who had never tried it out before to people like me who are struggling to make it to the next level. 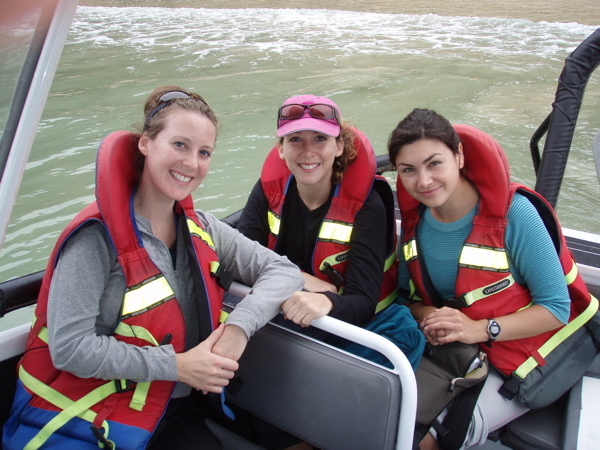 The coaches are usually women with lots of experience in the water, and they always focus on safety and keep an eye on us students like mother ducks looking after her ducklings. Even if the surf is a bit big at times, it is a real confidence boost to know that someone is there to give you advice and look out for you. Besides, learning to surf is an excellent workout and you will never feel more ecstatic or accomplished than when you catch your first waves. It is addictive! However, there is plenty of opportunity to spend some time away from the beach to soak up a bit of Moroccan culture. I love going to the souk in Agadir to haggle with the locals. This souk is quite large and you can find all sorts of interesting things to buy, from traditional Moroccan leather goods and jewellery to ceramic tagines and teapots and other more ordinary household items. Alternatively, if you are looking for something more relaxing, you could go to the local hammam in the village and spend a couple of hours getting scrubbed and massaged so you feel like a whole new person. I love traveling in general just to get a change of scenery, but sometimes going somewhere with the intention of doing something like surfing exposes you to different aspects of a place that you might not see otherwise. 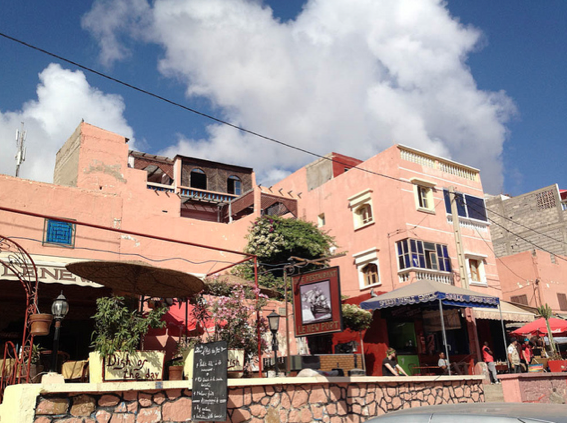 There is still an interesting hippie surfy vibe around Taghazout, which is filled with friendly laid-back people, both local Moroccans and expats. They are very fun to hang out with, and it gives surfing in Morocco one of the least aggressive vibes I have encountered. 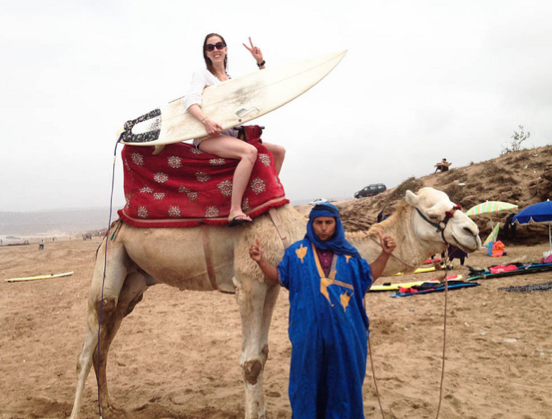 I have been surfing in Morocco twice in the past year, because the first time just made we want to go back for more! Everyone involved with organising these Surf Sistas trips, from the surf coaches to the house chef, makes sure that everyone leaves happy but exhausted at the end of the week. Simply desire to say your article is as amazing. The clarity in your put up is simply spectacular and i could think you are an expert on this subject. Well with your permission let me to take hold of your RSS feed to keep up to date with approaching post. Thank you one million and please carry on the enjoyable work. I am now not sure where you are getting your information, however great topic. I must spend a while learning much more or figuring out more. Thank you for excellent info I used to be in search of this information for my mission.